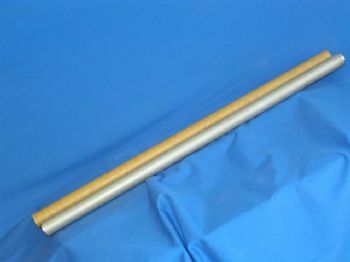 You are viewing : Home » Shop » Ziroli Accessories » Alloy wing tubes with phenolic sleeve 7/8", 1.25" & 1.5"
Used in many kits as a wing joiner - light and strong in aircraft spec alloy with matching phenolic liner. Available in 7/8", 1.25" and 1.5" diameters. Genuine Imperial sizes to suit parts sets sold by Ziroli,Hostetler, Bates, Platt and other designers.